Thank you for your interest in protecting marriage and our Constitution. Sign the petition below to join us in asking newly elected Governor Bevin of Kentucky to help lead the way in nullifying the unconstitutional Obergefell vs. Hodges Supreme Court opinion. You can also contact his office directly below. For further information check out our recommended links section. Help spread the word with our easy-to-share social media and email icons below. In keeping with the spirit of the 1798 Kentucky Resolutions we urge you to defend marriage and the Constitution by nullifying the unconstitutional Obergefell Supreme Court opinion. To help us avoid SPAM please verify that you're "not a robot" by clicking on the checkbox above. Click here to contact Governor Bevin directly. Feel free to reference our sample language below, but please be sure to personalize your message to both encourage and show the Governor just how much this issue matters. And remember, he’s one of the good guys. These emails will provide him the political cover necessary to pursue nullification. Congratulations on being elected Governor of Kentucky. Please, bring back constitutional and moral sanity to Kentucky by nullifying the unconstitutional Obergefell vs. Hodges Supreme Court opinion and uphold marriage as defined in the Kentucky Constitution. Thank You from all of us here at NullifyIt.com for joining the fight against judicial tyranny. Nullification is the legal theory that asserts a state has the right to nullify federal law which that state has deemed unconstitutional or beyond the constitutional powers of the federal government. Marriage is NOT within the purview of the Federal Government and therefore “reserved to the States respectively, or to the people.” (US Constitution, Tenth Amendment) Thomas Jefferson and James Madison articulated the theory of nullification in the Kentucky and Virginia Resolutions. 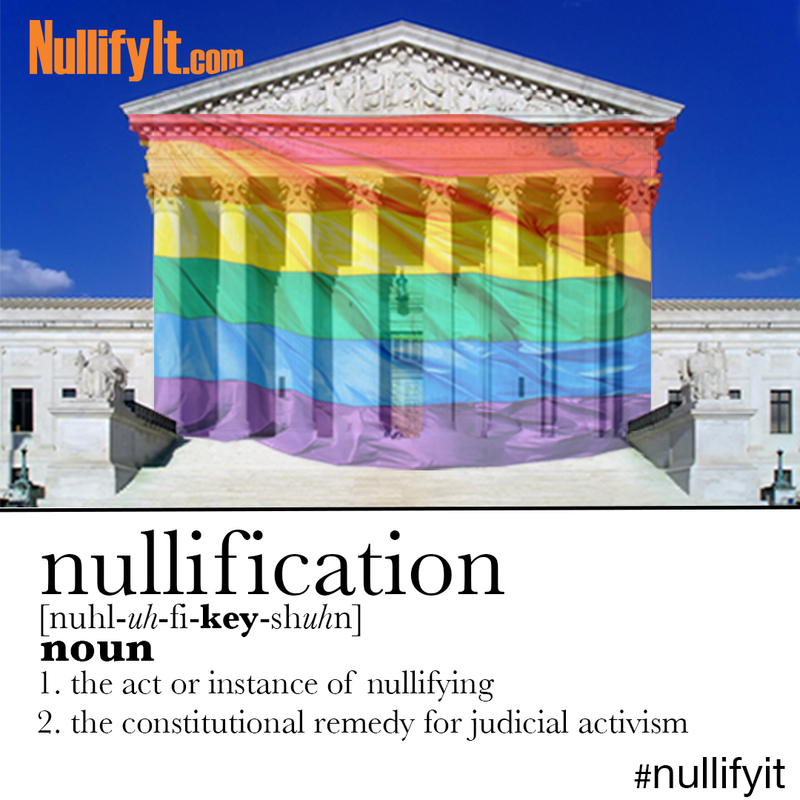 Nullification was and is being used by various states as a check on unconstitutional federal power. See the links below for more information.